The option four clutch kit is designed for a car that will see high performance driving. It will give good pedal feel. The Kit comes with 11″ Billet Steel Flywheel, 11″ High performance pressure plate, 11″ high performance sprung cerametallic plate, Alloy concentric slave cylinder, Flywheel and pressure plate bolts and also a new spigot bearing is included. Will not fit 5 speed cars. 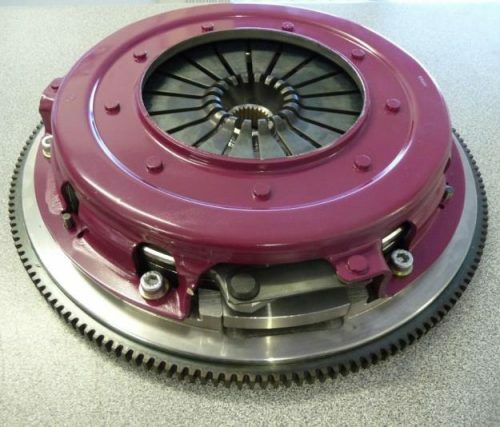 This clutch is rated 440 RWKW.